You may think so based on the love you give your furry friend but we will give you 10 signs of a happy cat to analyze and determine if your cat is happy. 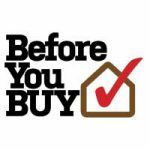 This guide will help you determine if there are any issues in your kitty’s home life. These issues can be social or they can be health related. Keeping an eye on your kitty by using our "signs of a happy cat" guide will hopefully help you keep the little fur burger happy and healthy. 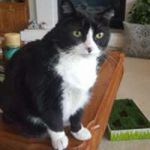 If you think, there might be some issues with cat's happiness regardless whether you are in a multi-cat household I would recommend reading two of our articles about easing tensions between cats and helping a timid cat. 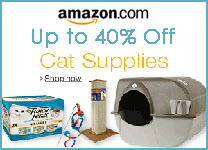 We also recommend a cat tree to help in the overall happiness of your kitty or kitties. 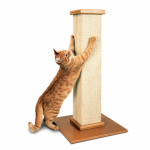 Check out our TOP 10 Best Cat Trees Review in both the (Standard) and (Premium) categories. When your cat first sees you and they run to you (or walk) and rub up against you, meow looking up at you, you know they are actually happy to see you. If they are keeping themselves clean, you know they are content and comfortable. When a cat is not happy, they stop or reduce their personal cleaning. The act of cleaning actually releases a chemical that makes a kitty feel good. Signs of a happy cat will manifest when eating. 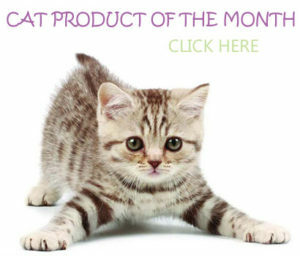 A healthy cat will have a good appetite and eats at normal intervals. Signs of a healthy cat mean they are not too thin or too fat. An unhappy cat may not have a good appetite. 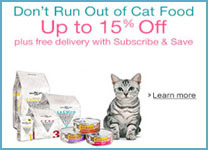 An imbalance in the home or with other cats can cause loss of appetite too. It can also be a sign of a health issue and you would want to see a vet to ascertain the problem. 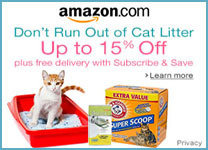 If your cat eats too much this too can be a warning sign and a way that kitty is coping with problems in the home. It can be depression, loneliness or just bored. A healthy kitty is a happy kitty. This translates into two areas. 1) Their overall health profile is good. Kitty gets regular check-ups from the vet. 2) They are not too thin or too heavy. A weight imbalance can affect the overall health of your cat. Being too heavy has more consequences than being too thin unless there is an underlying health issue causing the weight loss. Check out our healthy kitty weight chart to see where your cats line up. Signs of a happy cat are when your cats' eyes are partially closed this shows they are very comfortable and relaxed. If you make eye contact with your cat and they blink with slow motions this shows they like when you are around. Kneading to a cat means they are happy. They learn this behavior when they are nursing kittens and they (knead) mama to start the process of milk production. When kitty in kneading that is a sign of a happy cat and they are relaxed and happy. They are re-creating their neonatal instincts from kitten-hood. Signs of a happy cat will be realized in their purring. If your cat purrs when they are cuddling with you that is a sign of comfort and happiness. This is how they show you what they are feeling. 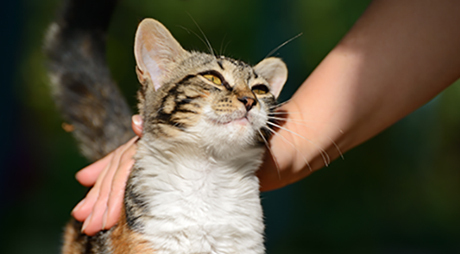 A little-known fact is that purring can also be a way for your cat to de-stress if they are injured or do not feel well. If your cat is purring at weird times that do not make sense, contact your vet. If your cat is rubbing on you, it is a sign she is glad to see you and she is saying you are my territory and my person. They may also headbutt you – this is good. If your kitty is relaxed that usually means they do not feel anxiety, fear, stress or threatened in any way. If kitty is not startled easily by sounds or sudden movements and seems calm, this is a good sign they are relaxed. 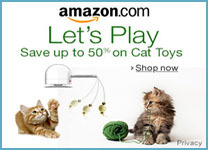 If your cat likes to play that usually means they are content and happy. Older kitties usually play less but still show delight when their special toy comes out. These 10 areas are a guide to keep an eye on kitty and require seeing a vet when something is a little off.